The Vette | Just Shooting Memories! I must say, I am one of the late comers to Facebook, so, I have not had much experience with it over the years. I know they just made some major changes and still don’t know what I think about it. Is it that I just have not had enough time to adjust, or did Facebook take a step back with the most recent update? This is another one of those photos which I thought looked much better in black and white than color. This was from a car show in Canton, Georgia. I went to a store in a small strip mall with an empty parking lot when I went in the store. When I came out, there was a parking lot full of classic cars. Fortunately, this one did not get too crowded and I was able to get several unobstructed shots. If you know the year, leave a comment. 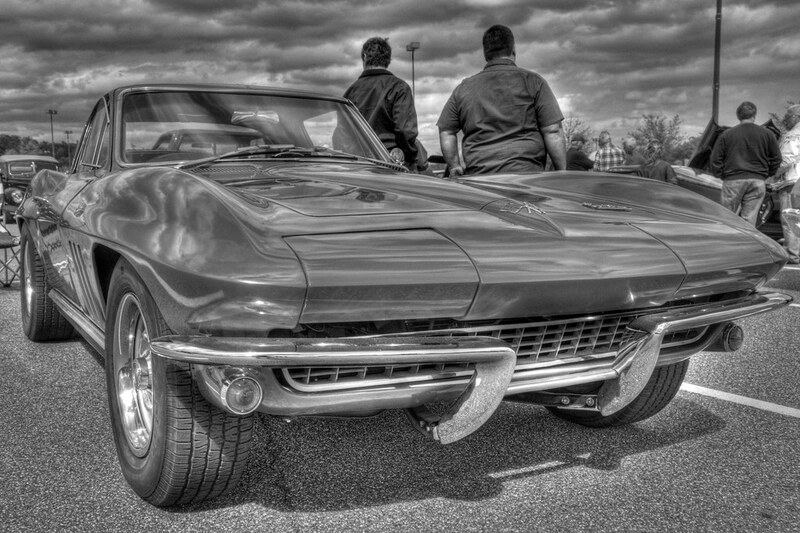 Love the Stingray. Great shot in black and white.